Donald Trump's latest book hits shelves: Who stands to profit? Donald Trump is scowling on the cover of his new book, but the sales will surely make him smile. 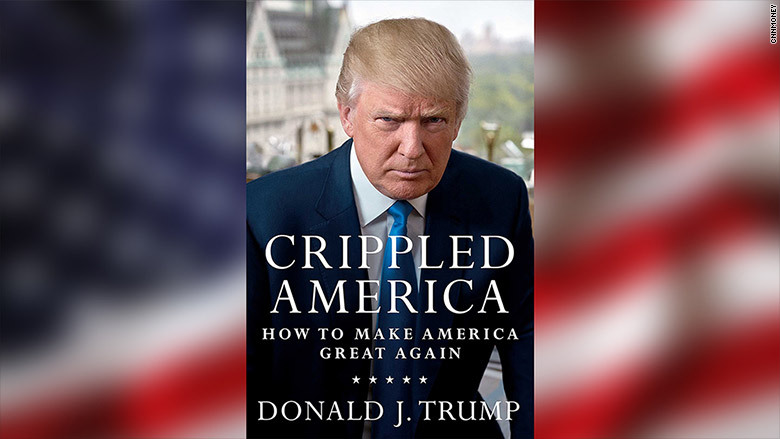 The campaign tome, "Crippled America," hits bookshelves on Tuesday. Trump and his publisher, Simon & Schuster, both stand to profit from it. While the financial details of the deal are confidential, authors frequently receive royalties, a portion of the proceeds from each book that is sold. Judging by his past performance, Trump's latest title is likely to be a bestseller. That's one of the reasons why he was courted by several prominent publishers earlier this year. 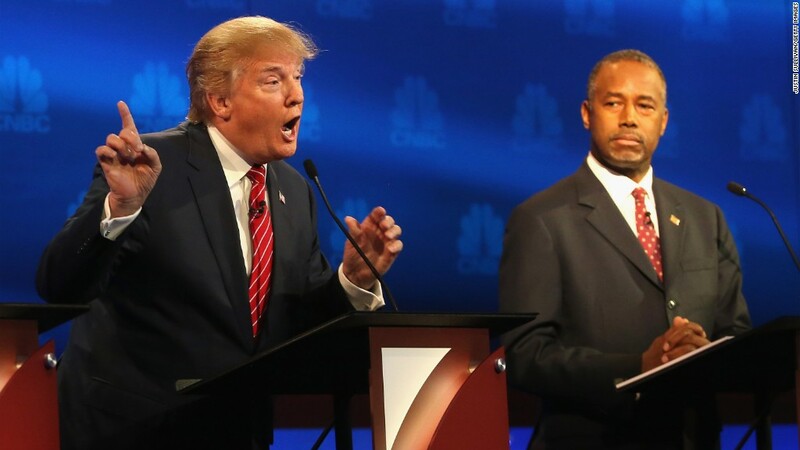 Many presidential candidates come out with books before entering the race. But Trump did it differently, launching this book after several months of campaigning. Now he is incorporating the book into his many media appearances. On Tuesday morning he promoted the book and jabbed his rivals on ABC's "Good Morning America" and Fox News Channel's "Fox & Friends." Both interviews were in-studio, a departure from his normal phone calls to morning shows. In both interviews, he pointed out how the cover has the "meanest" possible portrait of him. The publisher, Trump said on Fox, "sent up this wonderful photographer. He took these beautiful pictures where I'm smiling and happy and beautiful. And they took one by accident where I wasn't ready and that was the picture." He sounded more bemused than upset about it. "I'm sitting there with an angry face," Trump said on ABC, "and everybody said 'That's really got to be the picture' because the book is explaining all of the problems we have with the country, and how to fix them, much more importantly." Threshold Editions, a conservative imprint of Simon & Schuster, is selling the book. Simon & Schuster is owned by CBS (CBS). Trump is holding a lunchtime book signing at his Trump Tower. A Threshold spokesman said the publisher is "arranging for books to be sold outside the venues at some of his campaign stops over the next few weeks."